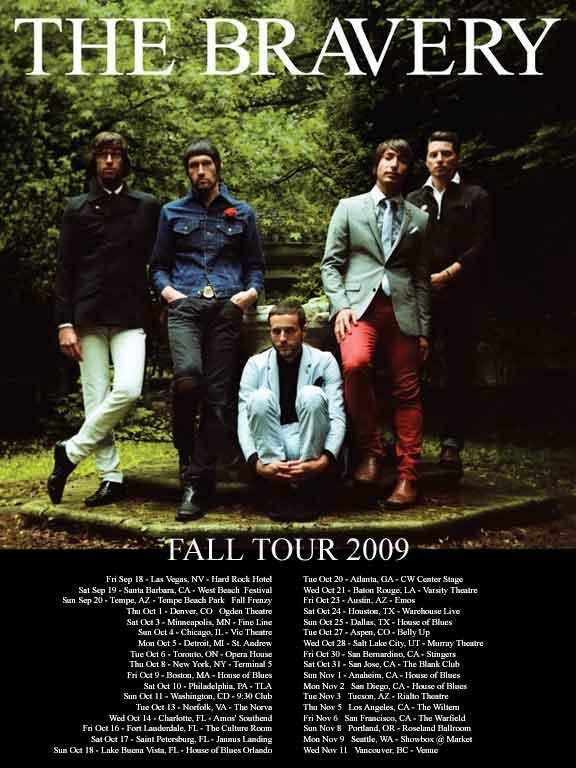 The Bravery is a NYC-based band who have been around since 2003, though with their new wave/punk aesthetic, they sound like they’ve been around much longer than that. Definitely an 80’s thing going on, and I don’t mean that in a bad way! There’s Sam Endicott (lead vocals, rhythm guitar), Michael Zakarin (lead guitar, backing vocals), John Conway (keyboards, backing vocals), Mike Hindert (bass, backing vocals), and Anthony Burulcich (drums, backing vocals). 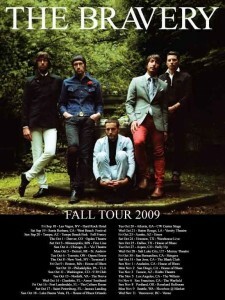 East L.A. bands visiting Boston (or thereabouts) in October. 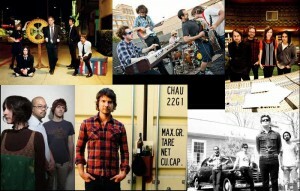 (top): The Airborne Toxic Event, The Henry Clay People, Silversun Pickups; (bottom): The Happy Hollows, Sea Wolf, Red Cortez. This is an addendum to my recent Silverlake Band Update. Yes, I do realize that most of these upcoming events are in California and this is a Boston blog. I figured I would get everyone really, really familiar with all these names so you’ll know who I’m talking about when they do come here. Meanwhile, perhaps it’ll serve as some kind of invocation. Those who arrived early for this Assembly of Dust performance at the Paradise Rock Club had a marvelous treat in store. I wasn’t familiar with Nathan Moore or the Emmitt-Nershi band, but I was very impressed by the excellence of these guys. You don’t always get really great support acts (I’m hesitant to even call them that, as either could be headliners), so this was a nice surprise which made for a wonderful evening of music. I’m late out of the gate with this reminder, and perhaps it’s because I was sad to learn that the awesome indie band out of Fresno, Rademacher, would not be making it all the way to the East Coast on this current “mini-tour” of theirs. But just now I realized, well, duh, you should still mention the shows they are doing, and maybe get a few people out to see them. They happen to be right around the places The Airborne Toxic Event are performing, albeit a day earlier, and I’ll venture a guess that Airborne fans will love Rademacher as well, as they come out of that same incredibly fertile Silverlake scene, with wonderfully literate and heartstring-pulling music. 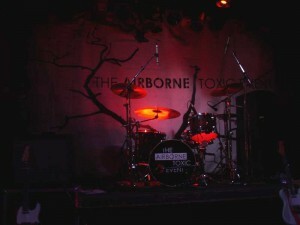 They joined Airborne on the West Coast leg of their last tour earlier in the year (along with The Henry Clay People). If you’re wondering what to do on Tuesday night, and looking for something that promises to be unusual, look no further. 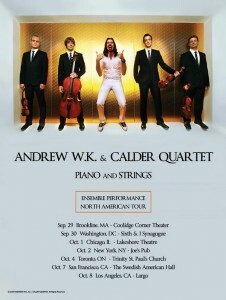 I can tell you that the Calder Quartet are wonderful, having seen them perform with The Airborne Toxic Event, though I’ve never seen one of their own shows. They’re based in Los Angeles, and the quartet features: Ben Jacobson, first violin; Andrew Bulbrook, second violin; Eric Byers, cello; and Jonathan Moerschel, viola. They specialize in classical and contemporary repertoire, and are focused on discovering new, emerging composers and, as they say on their MySpace page “pursuing unique collaborations”. 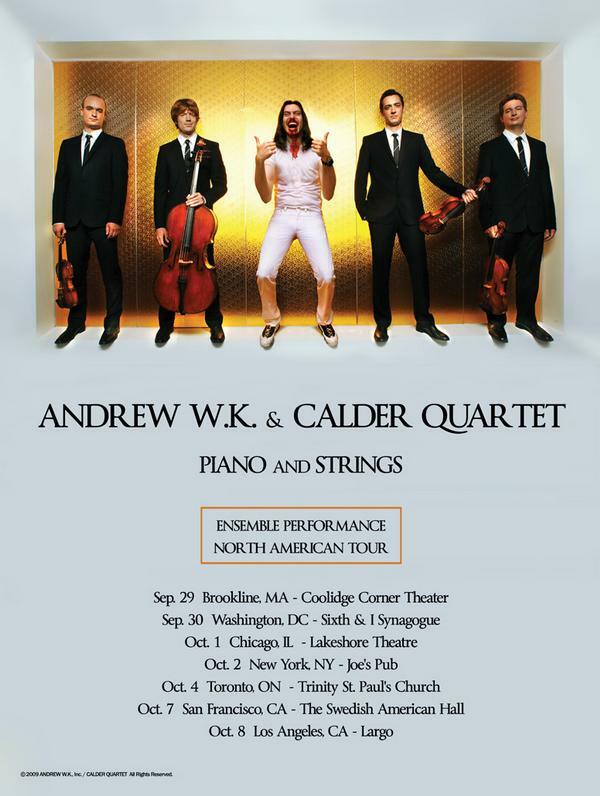 Um, yes indeed, as joining them for this evening at the Coolidge Corner Theater will be Andrew W.K., and I’m not even sure how to go about describing him. 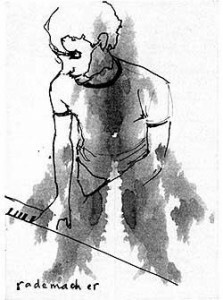 He’s a musician (a classical pianist and metal aficionado), performance artist, lecturer, visual artist, writer… and is known for his spontaneous performances. 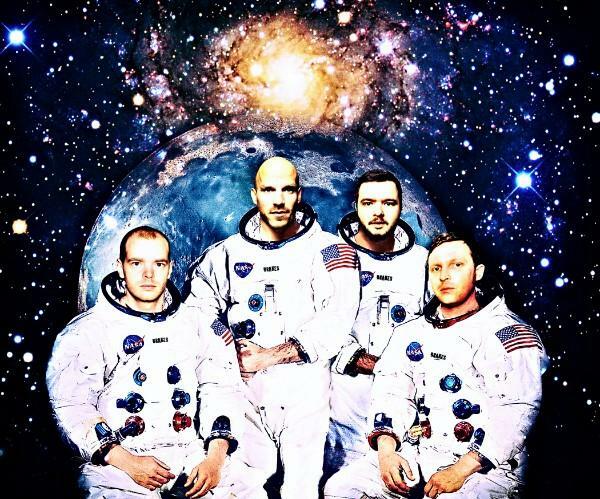 From Brighton, UK, and performing together since 2003, BrakesBrakesBrakes (made up of ex-members from Brighton bands Electric Soft Parade, British Sea Power, and The Tenderfoot) is Alex White, drums; Eamon Hamilton, guitar/vocals; Marc Beatty, bass; and Thomas White, guitar. Rollicking and raucous, yet melodic and literate at the same time, their influences are as far-reaching as Hank Williams and the Pixies; Ledbelly, Aerosmith, and Camera Obscura. 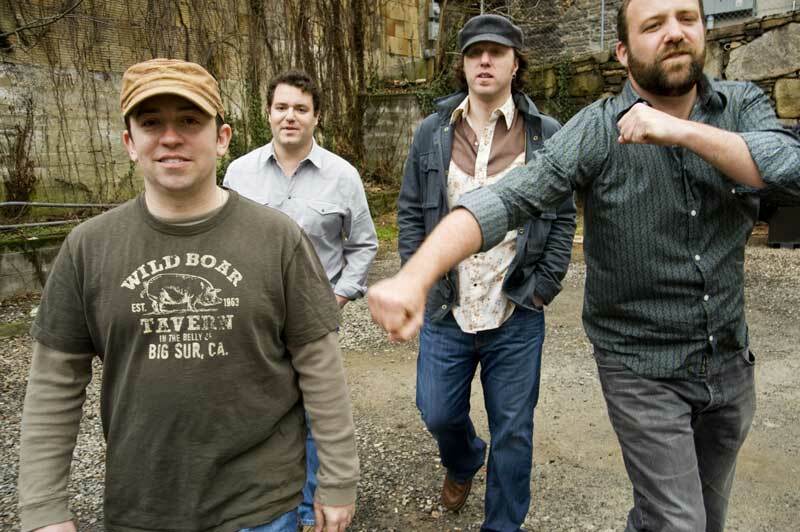 Assembly of Dust have been performing their warm blend of southern rock, country, Americana, folk-rock, blues and R&B since 2003. The band features Reid Genauer (formerly of the folk rock group Strangefolk) ~ lead vocals, guitar; Adam Terrell ~ lead guitar, vocals; Andy Herrick ~ drums; and John Leccese ~ bass, vocals. 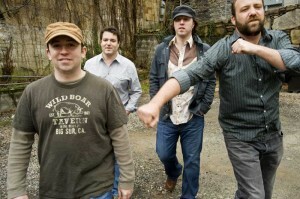 They’ve been compared to bands like Little Feat, J.J. Cale, The Band, Neil Young, Wilco – even The Beatles. I wasn’t familiar with O’Brien’s Pub, which is a rather low-key establishment (maybe a lit up sign at night would help) located at the corner of Harvard Ave. and Cambridge Street in Allston. I was surprised and impressed to find an actual, decent-sized stage in the corner, with professional lighting and good sound. 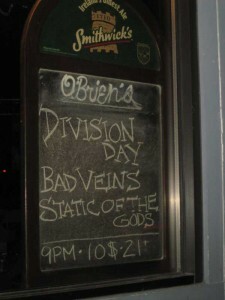 I see now that O’Brien’s is a serious rock venue. 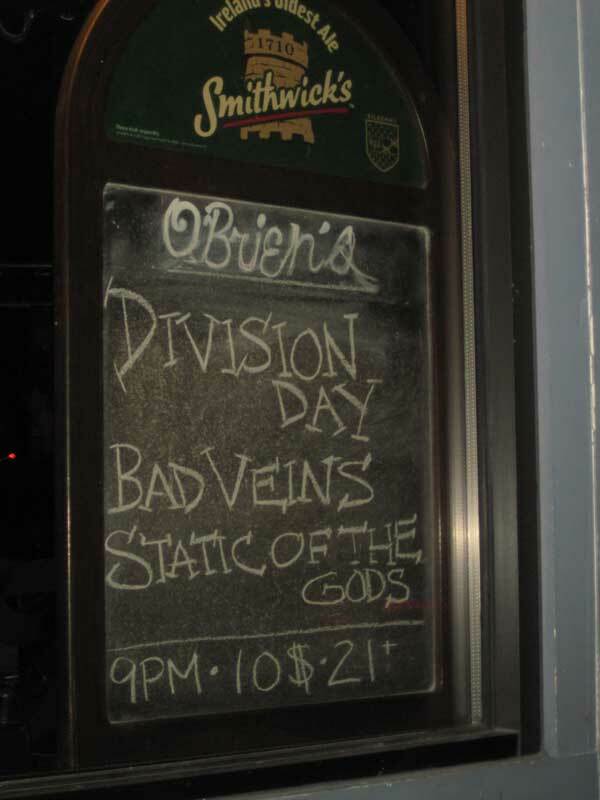 I assumed it was “just a bar” when I first heard that Division Day were playing there, and from the outside, one wouldn’t think otherwise. Well, it is a neighborhood bar, but it also regularly books local and national rock acts. generic American cities, all of which must blend together and look the same, after a while. ‘drive-by’ visits to exotic foreign lands, mostly just seeing the airport, a hotel, and in the case of a festival tour, a scorching airstrip or cold and muddy cow pasture. long periods of time away from family, friends, and favorite coffee shops, clubs, and taco restaurants. a resident of everywhere, a resident of nowhere. trying to find healthy food in culinary wastelands. late nights of endless faces, countless requests. never-ending jet lag. the sheer logistics of getting from place to place, venue to venue, soundcheck to soundcheck. is it even possible to sleep properly on a moving bus? 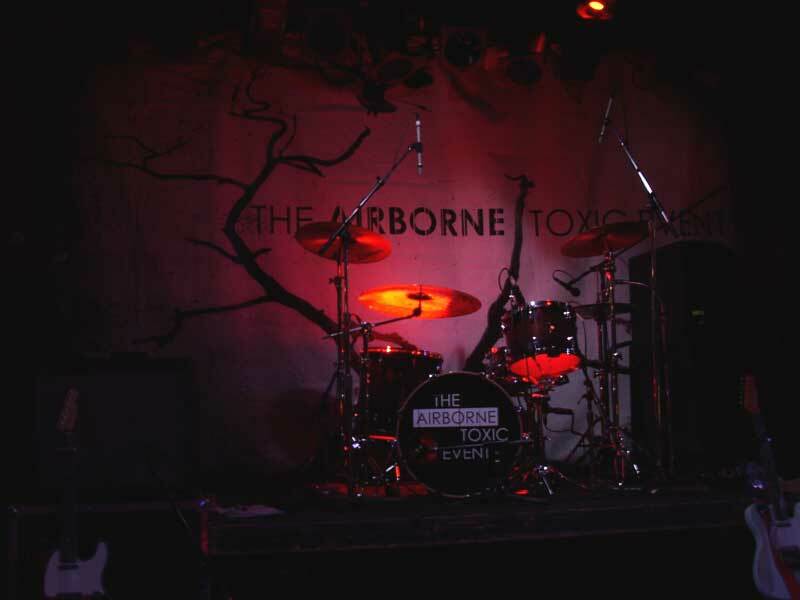 I’d like to dedicate the following video to The Airborne Toxic Event, and wish them safe journeys free of lost luggage, with enthusiastic and joyous crowds that make it all worthwhile. Here’s part 2 of my Silverlake update, featuring such bands as Rademacher, Silversun Pickups The Deadly Syndrome, The Happy Hollows, and The Henry Clay People (and lots more).